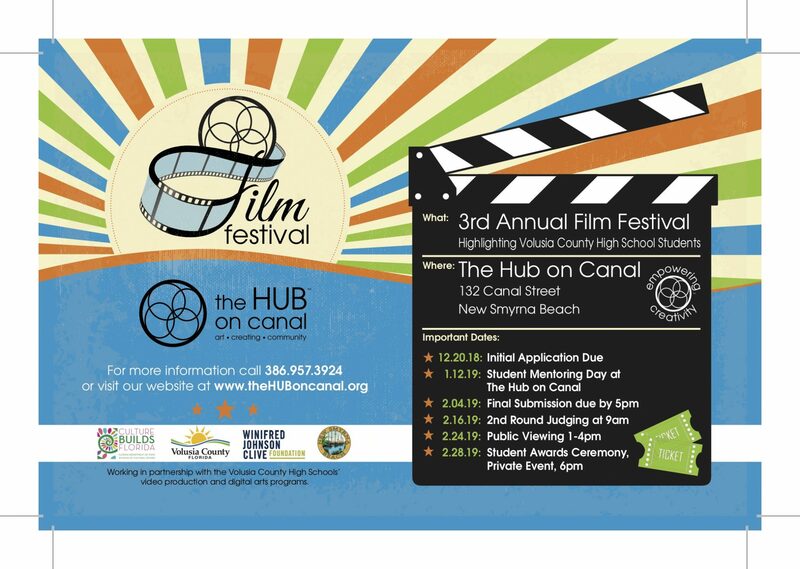 The Hub on Canal will present its third student film festival in 2019! The public viewing of the films will be held on February 24th from 1-4pm at The Hub on Canal. The festival will highlight films and film posters created by students from Volusia County High Schools. Judging for the film festival will include representatives from area colleges and universities and the film industry. Please join us as we support our students in this very special event! Application deadline is December 20, 2018.